Sometimes I am totally surprised by someone’s will to live. Not the will to fight or battle or any of those words that are thrown at cancer, but the will to live. I think that’s the attitude of most of the ladies I see in my clinic, but every now and then, one person will stand out. L is a tiny lady of 75 who has been through it all. Breast cancer in 1988, colon cancer in 2001, breast cancer again in 2006 and of course all the various chemo/radio treatment that comes along with those. She came to the clinic originally early in 2012 to see one of our osteopaths, who referred her to me as she was developing lymphoedema in her legs. I started working with her in May 2012 – she was on chemo again and was very frail and had been told to take it easy, her response to that was “but it is so boring”. She had always been fit, playing tennis, swimming, walking and doing yoga regularly. Her goal was to be well enough to do her annual trip back home to Canada to see her family. Her doctor tried to discourage her from going, because really, she was very frail. We (the osteopath and I) worked with her up until the time of departure and said our good-byes not quite expecting to see her again, she was that weak. Lo and behold, she came back in September 2012 having had an absolute blast on her holiday. After some tests they found she had liver metastasis and it was inoperable. More chemo, more swelling. Then there was some surgery to remove a stent from her stomach and lots of antibiotics and more swelling. Luckily she managed to get into Mt Wilga Hospital (http://www.mtwilgaprivate.com.au) for some intensive decongestive therapy so I didn’t see her for quite some time as they brought her swelling under control for her. She started osteopathic treatment again in February and came for a lymphatic treatment last week as she had forgotten to tell a doctor about her lymphatic problem and she was given the wrong meds and her leg started to swell again. Actually, she had to cancel her original appointment last week as she had severe abdominal pain and had to go to hospital but she made it in the next day (with an opium patch on to help with the pain) with apologies for inconveniencing me with a late cancellation! 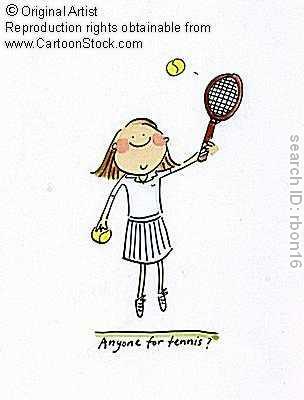 In spite of her recent medical issues she’s started playing tennis again, once a week, “but only two games”. One of my favourite conversations with her was about older people taking the same vacation every year, on the same cruise ship, eating humungous meals and getting fatter and fatter. Not her ideal holiday – she needs to go and do and see things, otherwise it’s boring. And her goal now? To enjoy this year’s trip to Canada. And that is what I call – the will to live! Sunday 23rd June 2013 – Through another client I saw on Friday I found out that L passed away three weeks ago, with her children by her side. They had come over from Canada to be with her at the end. A beautiful ending to a story of courage and determination. May she rest in peace. It sure does! She is amazing and so nonchalant about her attitude. Sorry my app has gone crazy …would not comment then did it later!!!! This is so beautiful and quintessentially you !